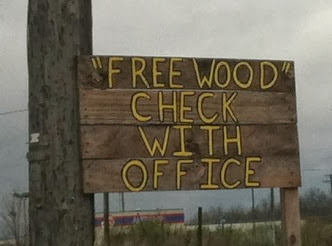 The “Blog” of “Unnecessary” Quotation Marks: "free wood"
I don't even.... Maybe it has something to do with this classic character? I would not advise checking with the office. Thanks Anastasia. As in "case of the..."?